What Does Hard Water Mean for You and Your Pipes? Today, most municipal water supplies, ours included, go through a heavy level of filtration and conditioning before they get to your faucets. And if you’re using ground water—that is, a private well—you probably have your own water treatment system on site. However, what many homeowners don’t realize is missing from their plumbing systems is protection from hard water. What is hard water, you ask? This is the name given to water with a high concentration of the minerals calcium and magnesium in it. They’re harmless to ingest, however can do a world of damage to your plumbing system. This problem can adequately be handled with a water softener as the water enters the home, before it has a chance to put your pipes out of commission. Without a water softener, professionally installed by an experienced plumber in Englewood, NJ, you could find yourself facing the following issues and their consequences. Keep reading to learn more! Posted in Plumbing | Comments Off on What Does Hard Water Mean for You and Your Pipes? WHEN DID YOU LAST HAVE YOUR TANKLESS WATER HEATER TUNED-UP? As a matter of fact, yes. No matter what type of water heater you have installed in your home, it can suffer from something called scaling. Scaling is the mineral buildup that results in a noisy system as well as pressure problems, temperature fluctuations, and potentially even water heater corrosion. 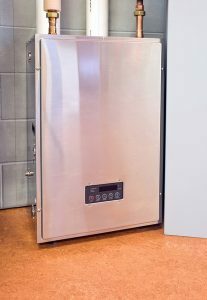 Tank water heaters go through a scaling process in order to eliminate this problem, but the process is different for their tankless counterparts. Posted in Water Heaters | Comments Off on WHEN DID YOU LAST HAVE YOUR TANKLESS WATER HEATER TUNED-UP? 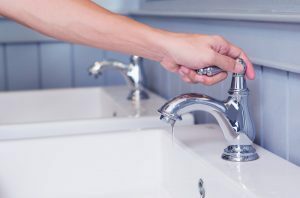 There are a number of potential problems to be aware of when it comes to your home’s plumbing system, the least of which (and one of the most problematic) being the presence of hard water. Many homeowners have to deal with this issue, even though most aren’t even aware they have a problem. It’s important to understand what hard water is, its symptoms, and how it impacts your plumbing system if you want to keep that system in the best possible condition. You’d also do well to consider the installation of a whole-house water softener, installed by a professional plumber in Paramus, NJ. When you hear the word “plumbing,” it’s likely to conjure up images in your mind of the faucets and fixtures that pour water forth throughout your home. Maybe you even think about the drains that whisk away wastewater. These are the components of your plumbing system that you actually see and have direct interaction with, so it makes sense that you’d think of them—but there is one component in particular that not too many homeowners give much thought too, and that’s their sewer line. While out of sight (and probably, out of mind), a sewer line problem can leave you with a major inconvenience, not to mention a mess and potentially expensive plumbing repairs. Early detection of sewer line issues is advantageous. But how does a Fort Lee, NJ plumber know that a sewer line needs help? Are you a do-it-yourselfer who loves the idea of doing your entire kitchen or bathroom remodel by yourself (or with the help of a few friends)? We think it’s great to have that feeling of accomplishment after you’ve sanded, sawed, spackled, and painted a part of your home with little help. What’s not so great is the feeling of uncertainty after you’ve installed an important plumbing component without much experience. Look, we’re all for DIY work when it comes to some things. But when remodeling involves any change to the plumbing, you’re going to need a professional plumber on the job. Unfortunately, we’ve seen a lot that can go wrong without it. SHOULD YOU CALL A PLUMBER FOR FROZEN PIPES? Would you believe that frozen pipes are never a concern for people in some parts of the country? In New Jersey, though, it’s something all homeowners have to think about, whether or not they’ve ever dealt with severely frozen pipes. When the problem does come up, you have a lot to consider. Will you simply take better precautions from now on? Will you call on a plumber to help? Should you consider major plumbing rerouting? We cannot answer the toughest questions for you. We can, however, help you understand when it’s time to call a plumber for your frozen pipes and when you should do something on your own. 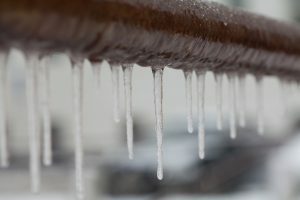 Posted in Plumbing | Comments Off on SHOULD YOU CALL A PLUMBER FOR FROZEN PIPES? Some plumbing problems around the home are things you can repair yourself with the turn of a screwdriver or a small drain auger. But when it comes to a commercial property, things aren’t so simple. It’s ill-advised to attempt fixing a problem that could impact an entire building without feeling certain of the outcome. 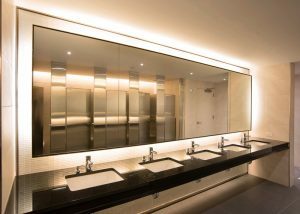 Even an experienced handyman is not the best choice for commercial plumbing repair or installation, since their expertise does not lay in that one area. If you have a commercial property in the Westwood, NJ area, make us your first choice for plumbing services. But no matter where you live, we’ve got some guidance on how to find the right commercial plumbing company for all your needs. Heavy rainfalls can strike throughout the spring, and the summer might have its occasional downpour as well. Even though the roof of a home will keep you dry during a rainstorm, it won’t necessarily protect the plumbing. Heavy rain places stress on drainage systems and pipes, and you may discover your plumbing plagued with problems in the aftermath of even a mild storm. To reach a plumber in Teaneck, NJ for your post-rainstorm plumbing blues, contact BZ Dependable Plumbing & Heating, Inc. We handle pipe replacements, leak detection, drain cleaning, and sump pump installation (an important defense against flooding). Broken pipes: A large rainfall, especially one that arrives after a long dry spell, can create shifting in the ground. This puts pressure on underground pipes that can cause them to break. 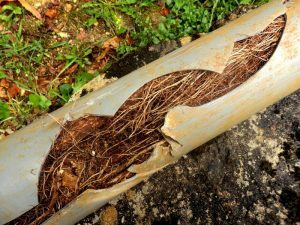 Older galvanized steel pipes that often suffer from corrosion as they age are the most susceptible to damage. If you discover discoloration, grit, or debris in the water coming from your faucets after a storm, you probably have broken underground pipes. A plumber can locate the break and repair it. Blockage: Pipes can become backed up after a rainstorm because of the immense amount of debris that rain will deposit into storm drains and downpipes. 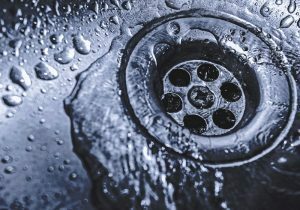 This type of clogging is rarely something a sink plunger can alleviate (and you should never rely on chemical cleaners under any circumstances) and will require the work of a plumbing expert. Debris on the roof can also block the drain vents, which will cause sewage odors to seep up through your drains. Basement flooding: Rain seeping into the soil can enter the walls of the basement or the lowest rooms of your house—especially if you live on land that has a high-water table. The drains in basements often cannot handle this amount of water, and the excess moisture will lead to destructive mold and mildew growth. If you encounter trouble like this frequently after rains, consider having a plumber install a sump pump. Hard rain doesn’t need to become a disaster for your plumbing if you act fast to solve issues that appear. Plumbers can help you with precautions as well: along with a sump pump, they can replace older pipes that might break due to ground shifting. BZ Dependable Plumbing & Heating, Inc. has an expert team that can repair your plumbing in case of storms. Just make a call for a plumber in Teaneck, NJ, and we will come to your rescue. ASK A DUMONT, NJ PLUMBER: HOW CAN I BE SURE MY PIPES ARE IN GOOD SHAPE? Your entire plumbing system works hard every single day, and it needs to be in good condition in order for you to be able to carry out many of your necessary tasks like showering and cleaning your home. But how can you be sure that your pipes are working well? If you need a plumber in Dumont, NJ, make sure that you call the friendly experts at BZ Dependable. Here are a few easy ways that you can help make sure that your home’s plumbing system works efficiently and that it lasts for as long as possible. Get regular maintenance – Probably the best way for you to ensure that your pipes and plumbing are in good condition is to have them inspected regularly by a professional. During regular maintenance visit, your Dumont, NJ plumber will look for any signs of leaks, cracks and clogs and then repair them before they can cause further issues. Not only will this help you rest easy that your pipes are in good shape, but it will also help them last longer and work better. Stop clogs before they start – There are a few things that you homeowners should know in order to treat their pipes well. In particular, your kitchen sink needs to be protected because of how much solid food waste it handles every day. Make sure that you don’t put any animal bones, fruit pits, melted fat and grease down your kitchen sink as these things can cause clogs. Get a descaler – If your home has hard water it means that there are excess minerals in it like calcium and magnesium. These minerals can get deposited in your home’s pipes and cause them to clog up. A descaling or water treatment system can help remove those minerals so that your pipes stay cleaner. If you need a plumber in Dumont, NJ, just call the specialists at BZ Dependable. Posted in Plumbing | Comments Off on ASK A DUMONT, NJ PLUMBER: HOW CAN I BE SURE MY PIPES ARE IN GOOD SHAPE? We tend to rely a lot on our plumbing systems. So much, in fact, that we often don’t appreciate the materials and tools required to make them work at all. Like a carpenter, mason, or electrician, your plumber has his own set of tools to ensure that your water heaters, dishwashers, laundry machines, bathroom and kitchen plumbing are all properly installed. If you need a plumber in Bergen County, call BZ Dependable for exceptional and reliable services. In this post, we’d like to take a look at some of the tools that your plumber relies on. Cutting: Whatever type of piping you have in your home, your plumbing system does not come in a prefabricated package for immediate installation. Your plumber relies on a wide variety of equipment and tools because of the range of tasks he is responsible for. From installation of plumbed appliances to whole home repiping installation, he needs to ensure that your piping is cut to exact size. Whether you need copper hard pipe installed or PEX, it will need to be properly cut by a series of tools specifically designed for clean cuts. Manual tube cutters as well as circular saws and reciprocal saws are available for on-site setup and operation. Soldering: This is a process whereby two metal pieces are conjoined by melting solder (a “filler”) that will provide a watertight bond. It allows the two pieces to be connected without altering the pieces themselves, and it works because solder has a much lower melting point. Solder comes in wire rounds and is an alloy typically made of tin and lead, although lead-free solder is available. It is used widely in copper pie installations. The soldering tool varies according to preference and application, but often a simple propane torch is used. Video camera: Video camera pipe inspection is one of the latest technological developments in the field of plumbing. It allows a first-person perspective of the inside of your plumbing that can lead to enhanced levels of detection and troubleshooting. Before this technology was available, there was simply no clean or non-invasive way to figure out what the status of your drainpipes and sewer line were. We hope this gives you some idea of how specialized plumbing tasks can be. Call BZ Dependable when you need a plumber in Bergen County. © 2012–2018 BZ DEPENDABLE PLUMBING & HEATING INC. ALL RIGHTS RESERVED.